From Bugatti, this stylish womens ankle boot is a perfect addition to any womens wardrobe this autumn. 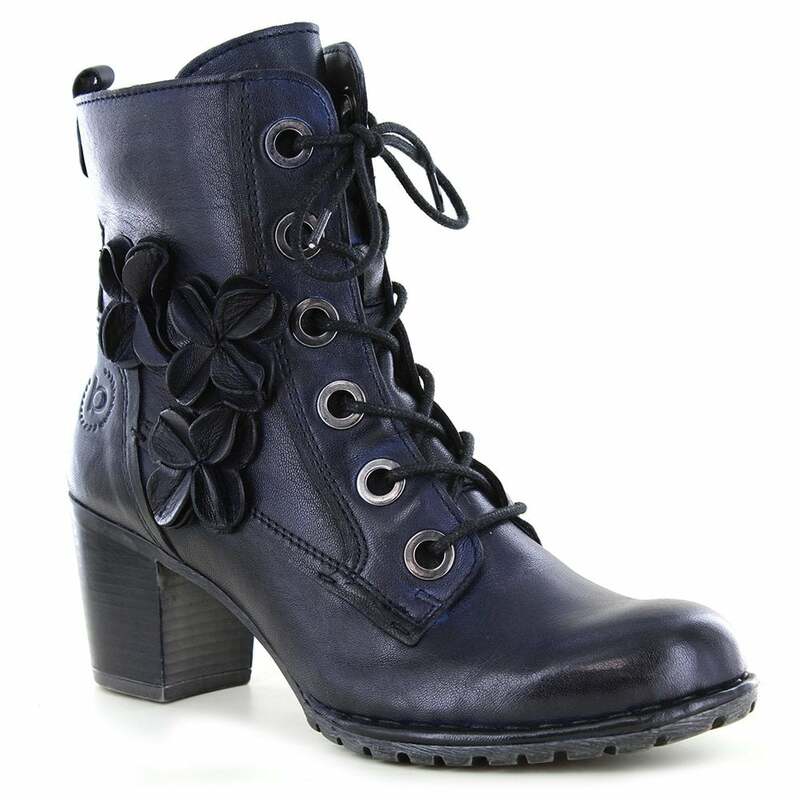 The Bugatti 411-33336-4100 womens ankle boots feature a six-eyelet metal ring lace-up secured with round blue laces. A functional single zip fastening on the inner side makes for ease of fit. The uppers of these Bugatti womens ankle boots is constructed in beautiful dark blue premium leather with black undertones and the tonal variations of a natural product. Inside the womens leather boot is lined in a micro fleece fabric. You'll be crazy to miss out on these stunning ankle boots from Bugatti. Get your pair of 411-33335-4100 womens leather six-eyelet zip ankle boots today at Scorpio Shoes!